15 December 2018: Athens, at Chimeres Space with Conjecture. 9 December 2017: Athens, at the photography exhibition of Stéphane Charpentier “The Core”, at Void. Concert by Millions of Dead Tourists with live videos by Stéphane Charpentier. Sound Introduction by Alyssa Moxley (mixed field recordings). 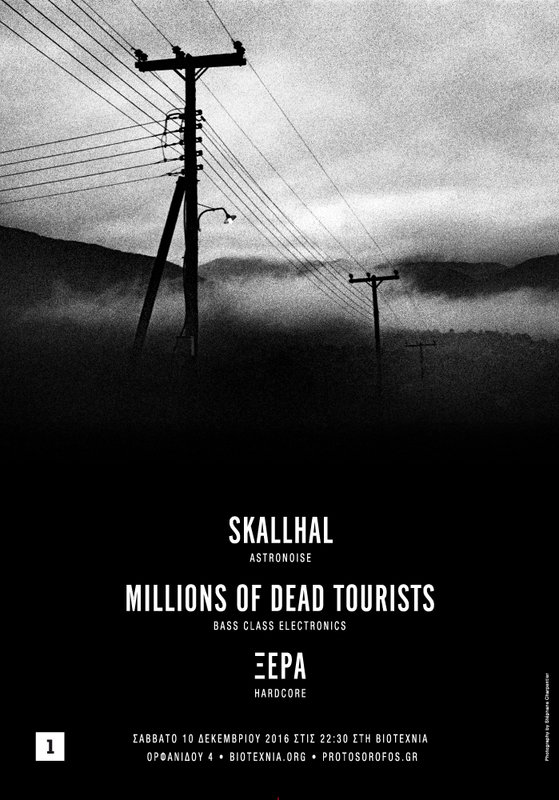 10 December 2016: Skållhal, Millions of Dead Tourists, Ξέρα (Ksera) live at Biotechnia, Thessaloniki. Free entrance. Organized by Protos Orofos & Biotechnia.